I just wanted to share a small update. OH MY GOSH as soon as my friend showed this to me, I.. my day was made. I was wondering if it would be released in the Pokemon Centers in Japan, would anyone be able to do a pick-up for me? I absolutely love these guys, they're my babies.. and this is their first official merch released! I need it! Looking for these fancy 3.5" pokéball coin banks. 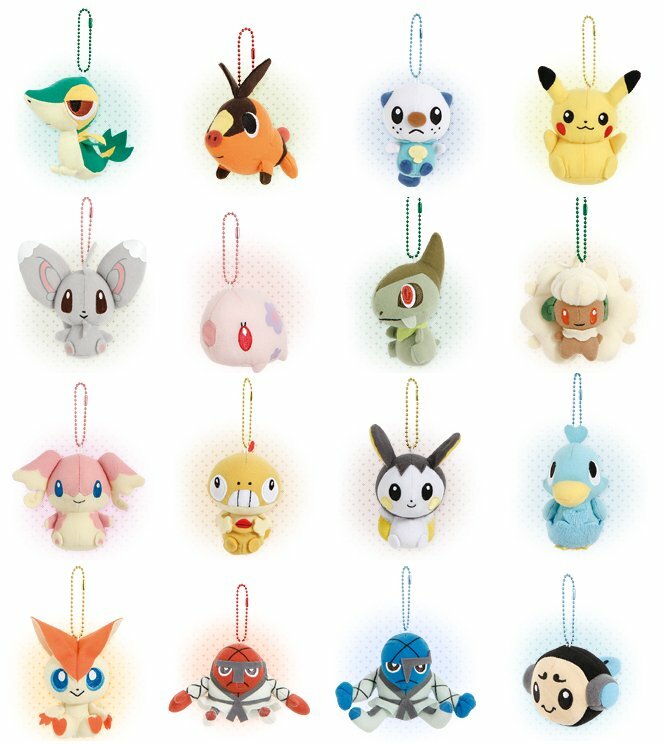 I have been looking for these fancy 3.5" pokéball coin banks that come with a pokémon figure or keychain in them (I'm not sure). I have noticed that some people in this community are rocking them, so I would like to know where and when you guys got them, which figure came in them and also which company makes them. My google-fu has allowed me to find somewhere to get a pokéball and a great ball made by Banpresto with either chimchar, piplup or turtwig in them, but unfortunately, the ball is randomly picked so it's impossible to choose which one I will get. This leaves me with an ultra ball and a master ball to find (though I'm not sure the ultra ball exists, I have never seen one). Does anyone know where I could find this key chain Elgyem? Also.. does anyone know if any Elgyem kids will be released? anyone have a chandelure pan sticker? Just a friendly reminder that my auctions will be ending at 9:00pm PST today. 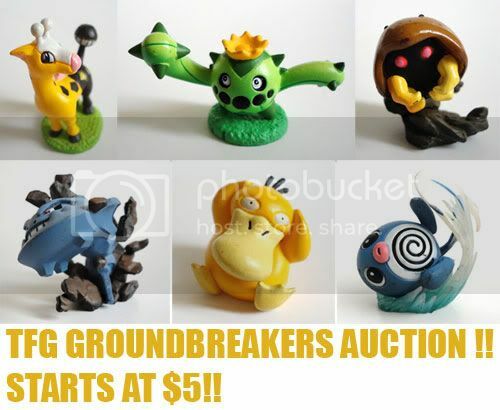 There are some rare items up for grabs such as the Dawn and Piplup figure and the Mewtwo VS Mew diorama figure. I also have a lot of stuff left from my sales so please have a look! Thanks for reading and T.G.I.F! I had to part with some of my plush collection, so I updated my sales post. You'll find some rare plushes by clicking on the sales picture. Please send all payments to sockmehard(at)hotmail.com and please put your username in the subject line <3. Bat-memos, Swing Charms + May Figure~! ♡ People ready to pay get priority over people asking for quotes on items. Yay~ I get to show off some minor gets! hai guys. 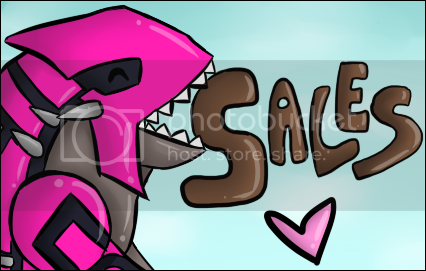 :3 i updated my sales again! Added all of the GA leftovers, as well as lowered most prices. i am currently NOT taking trades UNLESS it is on my wants list. Which is linked on my sales post. All but 3 people have their items shipped from the plush/flats/zukan GA. Those will go out monday. I am still waiting for payment from one person, euripus. Please pay for shipping for your items! Collection update, plus ongoing Dog Tag Sales! Also, PLEASE buy these dog tags, guys. ;_; I need them gone! Click the link below to go to the sales, please! *************If anyone has a ~LUGIA~ BOTTLECAP -OR- PREORDER FIGURE please let me know! I am desperate. ;_; I am willing to pay about $6-8 shipped for one, no higher please. And if anyone has any ~bird~ pokemon items(especially 1-gen and legends), I would be willing to pay around the same price for one. Hi Everyone! 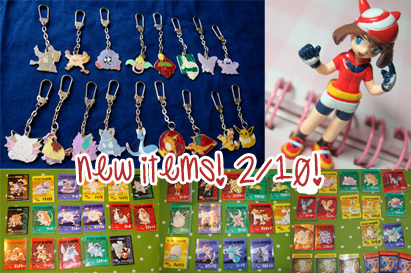 I've updated my sales post with more goodies including some exclusive Pokemon Valentines Day Cards, items from the Mewtwo box, and some EX's that I pulled! Of course if you see something is over priced you are free to negotiate. As always I am doing Nintendo World Pokedoll pickups and have worlds stamp cards! Glittering Hoard GA - WE WON! 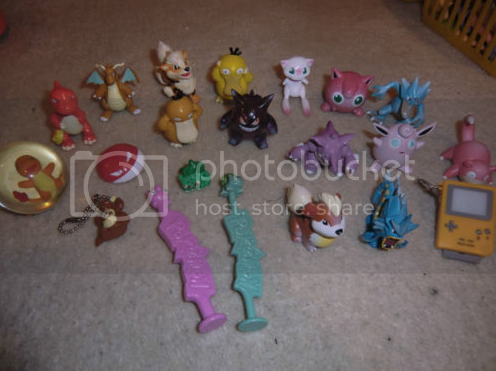 We won the following lots from the seller! I am working on the spreadsheet now, I will add it to this post and PM as many participants as LJ allows today. I have already paid the seller because it ended yesterday, I just couldn't post an update. Hi all! Got some exciting things this week I wanted to share! EDIT: Also, new messages aren't showing up in my inbox. I checked the settings and it should be working. I know other people have had this problem before, how'd you fix it? Thanks! I will be going to the local shop for picking up all requested items tomorrow. Click here or the pictures to be transported to the original pick up post! 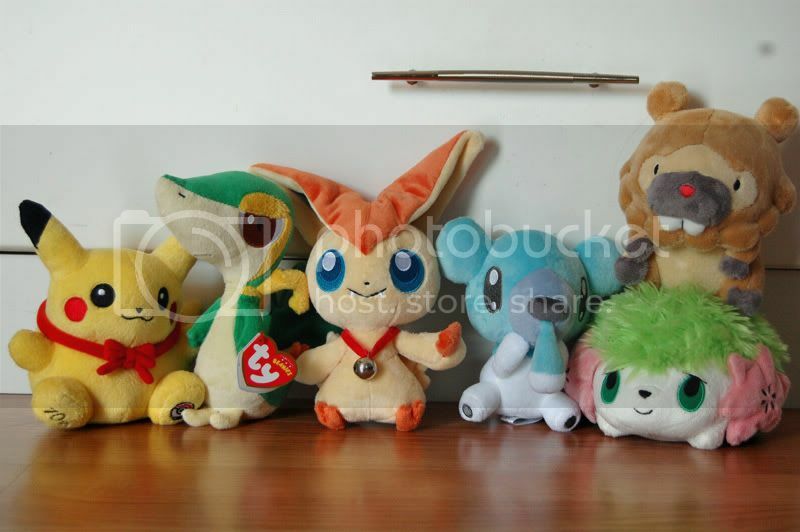 Besides buying from the comm, what was your first Poke merch? Unless of course, your first Poke merch came from the comm! This question is more along the lines of what kind of toys, if any, did you guys have as a kid? Cards, figures ect. if you can remember. For example, when Pokemon became popular, my age was in the single digits and loved collecting the cards! Trading with the neighbor kids, opening a booster and finding that elusive Charizard card. My dad was more excited than I was that xmas. Anyway, my first would have been this Charmander card right here :] Still have it to this day, 12 or so years later. Some minor imperfections. Like the creased corner, ripped bottom and the obvious hand drawn extras. figures, cards, tomy, hasbro, plush, etc!